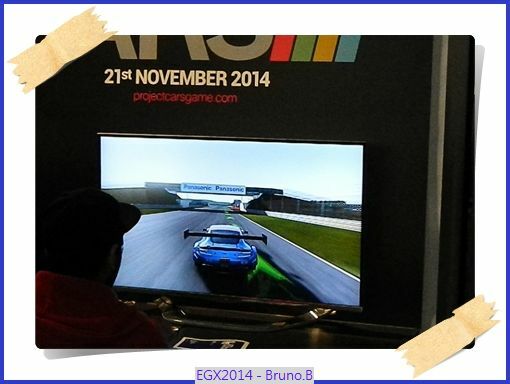 Bruno.B here with our first look at this years EGX games show at Earls Court in London. 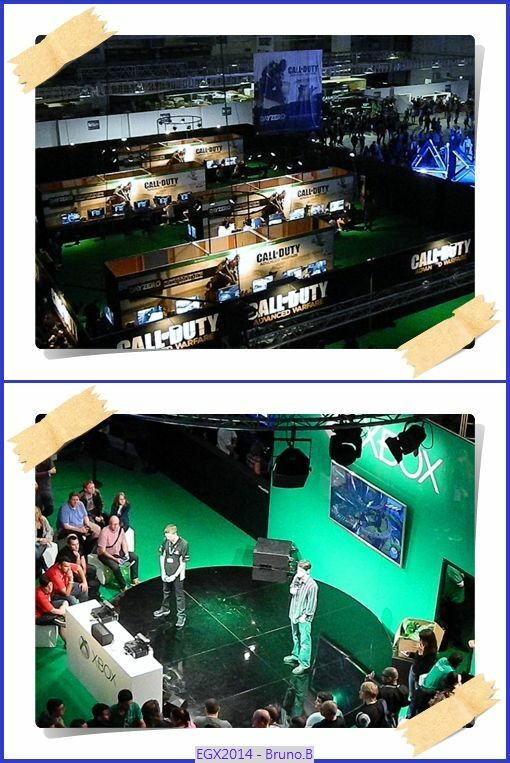 This year the show is solely game focused after the 2012 and 2013 shows being a showcase for new mainstream console gaming hardware. Of course there's still new hardware in the PC market which is changing monthly . But here and now it's the games that will make and break the 8th generation of consoles. Sony seems on a role at the moment with the roller coaster which is the PS4, selling more then 10 million units in less then a year. Also helping most recently was the release of 'DESTINY' , the new game by Halo creators and developers Bungie . Of course Destiny is a multi format release across the Playstaion and Xbox brands as well as PC. ,but Sony's exclusive deal for advertising rights has seen the game boost PS4 sales more then 200 % in the games Launch week. Bungie must also be pleased as they have had the biggest launch for a new IP in games history . Microsoft Xbox One also saw it's weekly sales get a big boost to from the game , well it had to as fans of Halo would be a certain market for the game. Nintendo on the other hand has been trying to establish a decent user base for their home console, the Wii U. The Wii U may have launched with good numbers in late 2012 , but sales dried up as software became sparse from Nintendo as well as third parties. . With poor advertising , many believed the Wii U to be a add on for the Wii. 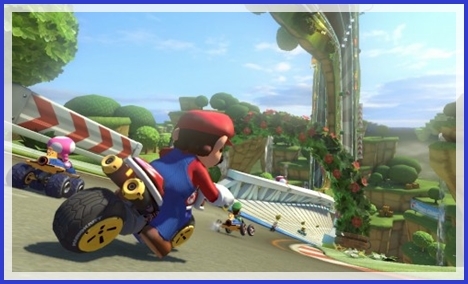 It's taken time but with some solid releases in in late 2013 and 2014, but it was the classic Nintendo Mario Kart franchise that has rekindled the sales for the system with it's release in May 2014. Then their was E3 which showcased Nintendo had been hard at work with new titles and a few surprises took fans by storm . 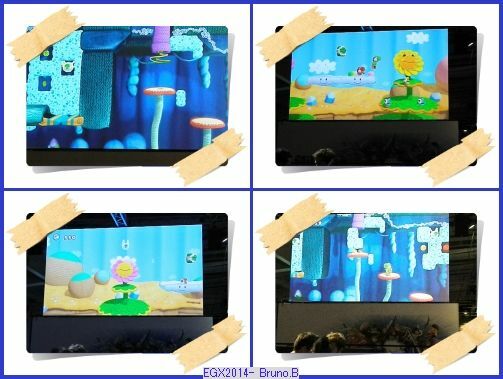 Games like Yoshi's Woolly World, Captain Toad and Splatoon prove Nintendo have been busy with titles for the system , Of course the main thing was that they make titles that utilise the game pad for more then just off TV play. 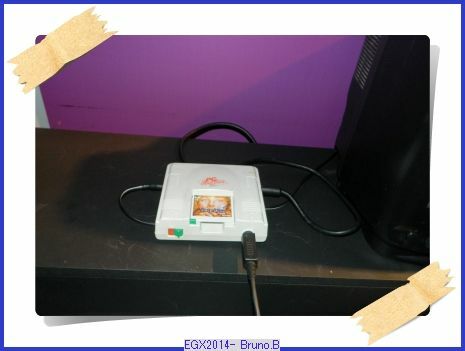 ( even though we find it a great feature) Now Captain Toad I played at a event in July and is a game which will use the game pad for more then TV play and it's a step forward at least . Now our first game of our EGX visit on Thursday was the forthcoming Splatoon , coming some time next year. After a wait while they fixed a technical issue with the network we got to get hands on with this third person shooter which involves a lot of INK and stealth as you turn into a squid and swim through the Ink to pounce onto your opponent to ink him up and the surrounding area. 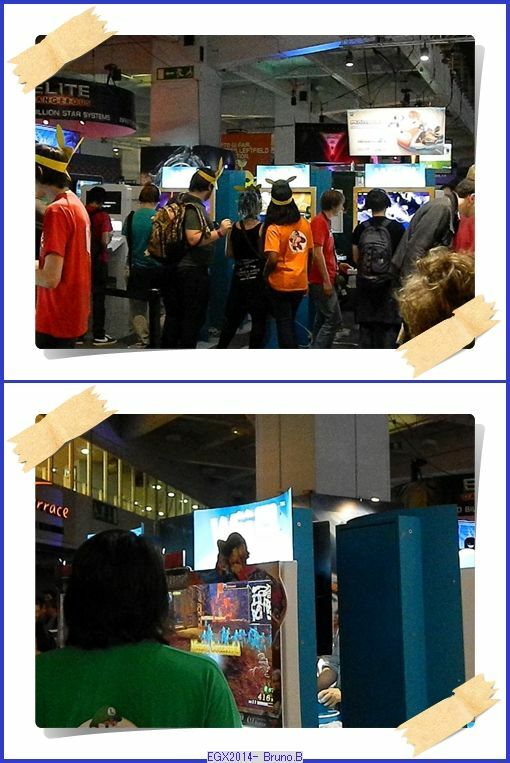 Split up into two teams of four ,Nintendo had eight machines network linked and two queues of gamers waiting to play the game against each other. Controls are easy with triggers to fire your ink ,the analogue stick to move around and using the pads motion control to look around up and down left and right to aim. .
Our initial opinion of the game is that it looks set to be a sleeper hit , maybe they should release a demo of the game prior to release to get gamers excited for it ,as new fresh IP's from Nintendo don't happen often. .
Now Woolly World may not seem to have the unique game pad element that Splatoon or Capitan Toad have but looks sublime none the less, it's graphically beautiful eye candy . I played this in two player mode with a Nintendo representative . It's a side scrolling platform game where together you have to get through the levels by helping each other , though I did find myself accidentally gobbling my woolly partner and spitting him at enemies. 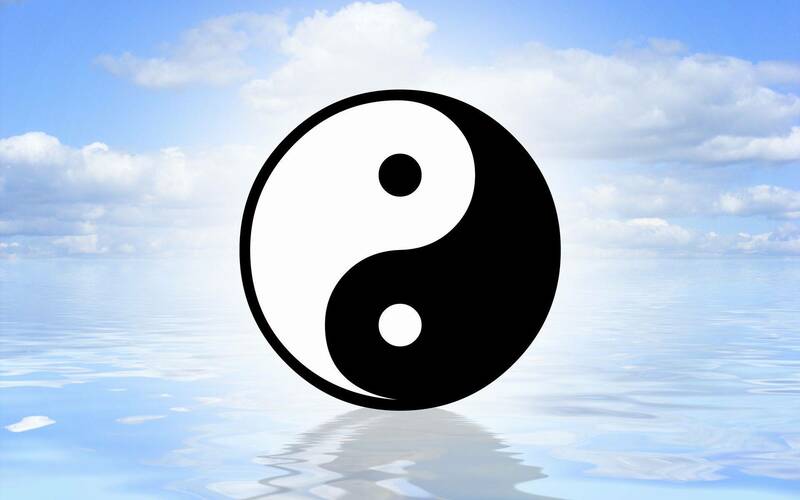 Though he did hinder me at times at well. 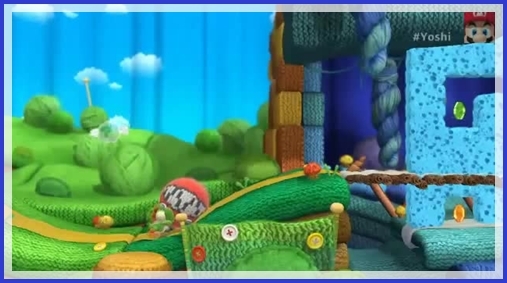 I really enjoyed Woolly World , it's quite tough at stages but it's such a fun and cute game. 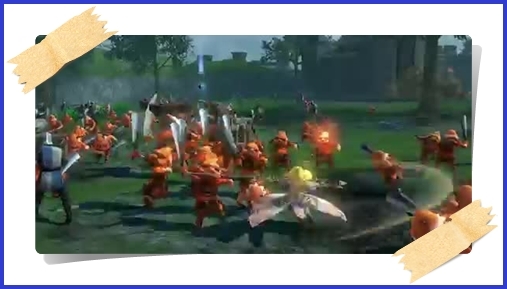 Of course Nintendo have a range of games on show , the recent Hyrule Warriors featuring the Legend of Zelda cast in a Musuo game like similar to Dynasty Warriors . Hyrule is a gorgeous game which has some clever boss fights and you also get to play as characters from the franchise who have never been playable characters from the Zelda franchise. 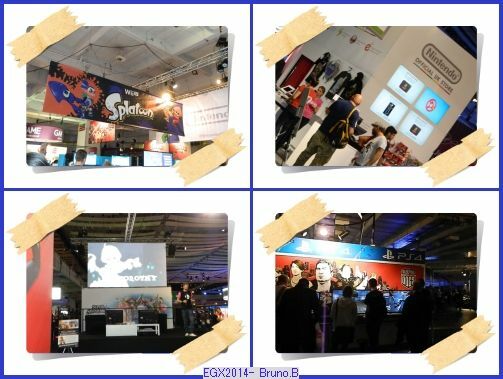 Other Nintendo games on show where Mario Kart 8 , which they where running a tournament for ,Sonic Boom , the third game in the deal with Sega for exclusivity for the Sonic series. Now Last years Lost World Sonic game was a game developed in Japan by Sonic team and it is a very good game , though maybe a little tougher then many may have liked. With this new game Sonic and his friends have been reinvented to tie in with a new Cartoon series , programmed by American programmers Big Red Button ( former Naughty Dog developers) the game is being overseen by Sega of America. Now again this is a game we played at a event in July , it's game-play has a mix of adventure and classic Sonic speed sections , it's really quick and maybe a little a case of you having to have luck to complete the levels as oppose to needing skill, but this was our impression from the demo we played , things can still change before it's November release. 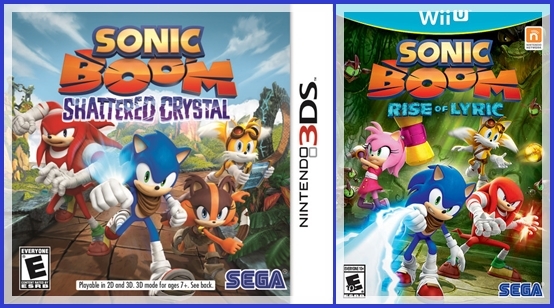 One thing is like last years Sonic title ,Sonic Boom is a two tier title appearing on 3DS as well as Wii U , and like last year the two games are being developed by different developers and have different game-play mechanics. The 3DS version with it's tag line title of Shattered Crystal is more akin to earlier Sonic games in it's game-play element , developed by Sanzaru games of San Francisco . Now the version we played of this is a really clever game and has that instant classic Sonic feel with really cool graphics. Of note the soundtrack for both games is being composed by Richard Jacques , a legend in producing great soundtracks for SEGA games. Now I have one more Nintendo franchise to talk about before I move onto another game from SEGA for rival systems. Of course Nintendo's big game this year will be the new Smash Brothers game , releasing on 3DS in October in the West (it's out in Japan now) and Wii U in November . Nintendo have massive tournament at EGX with gamers queueing to play the latest Smash game on 3DS , qualify and you get to battle it out on the Wii U version of the game. Winners get some freebies from Nintendo. Smash Brothers is going to be huge , those that buy the 3DS version will be able to link to the Wii U version if they have both. Of course the big entity for the Wii U version of the game is the use of Amiibo (Nintendo's NFC based character figures to boost and save data) which launches before Christmas to. Smash Brothers on 3DS has already proved it self with it's release in Japan , selling a million copies in two days of going on sale. 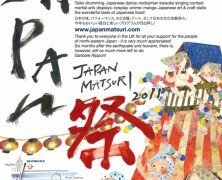 I can see the 3DS version hitting global sales of 5 or 6 million by year end easy. Also this will make the superior Wii U version a must have , with it's game Cube controller compatibility with the aid of a controller adapter. Nintendo have already announced a bundle with a copy of the game ,a four player game Cube adapter and a game cube controller . 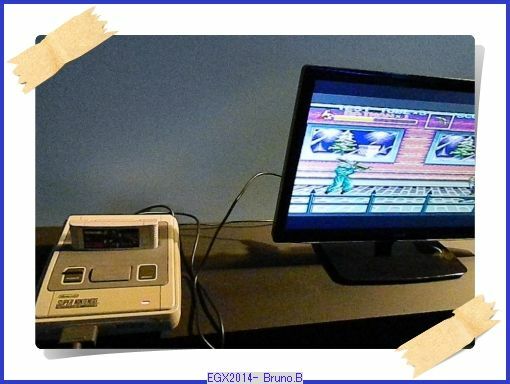 There's no doubt in my mind , Smash Brothers will be a massive system seller for Wii U. Now moving on I said we would talk about another SEGA game. Of course I am talking the hotly anticipated new Alien game , Alien Isolation. In the making for the previous four years the team at Creative Assembly , a British based developers have been hard at work creating a work of art . Famous for the Total War series of games published by Sega for PC , Creative Assembly who are a Sega owned studio may not have the largest portfolio ,but the games of theirs I have played in the past I have enjoyed immensely , namely , 2005's SPARTEN Total Warrior for the first XBOX,Game Cube and PS2 , then 2008's Viking 'Battle for Asgard which released on 360/PS3and Windows. 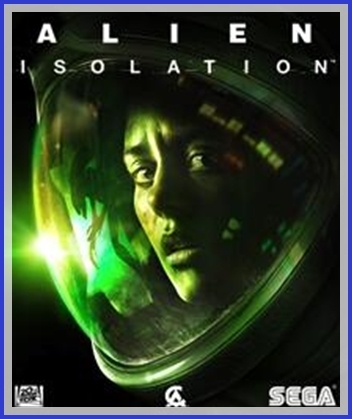 So with Alien Isolation the team whose creative director Al Hope have spent the time crafting a tense horror based game which captures the essence of the first movie by Ridley Scott. 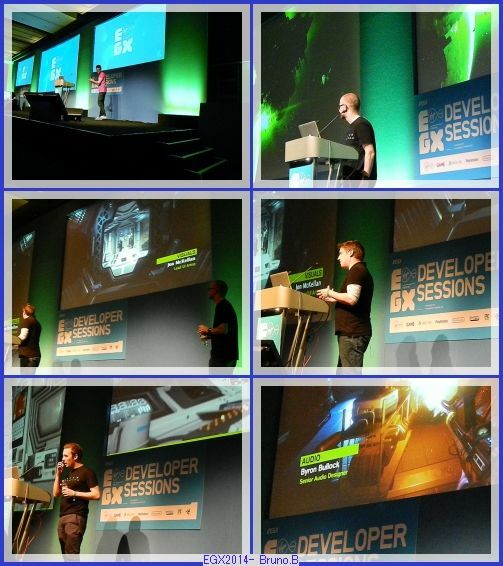 We managed to sit in on the developer session for Isolation at EGX , where the team shared their experiences of making the game and how they managed to secure footage and photos,drawings and more from Twentieth Century Fox. It was this that has helped them create what could be the definitive Alien game . Unlike the previous games about the films which concentrated on the colonial marines in Aliens ,here we have a more tense horror opera to get your skin tingling..
Now I have enjoyed past Alien games , namely Rebellion's Alien vs Predator on Atari Jaguar ( a game you can play in the retro zone of EGX) and Rebellion's later Aliens vs Predator for PS3 /360 and PC. 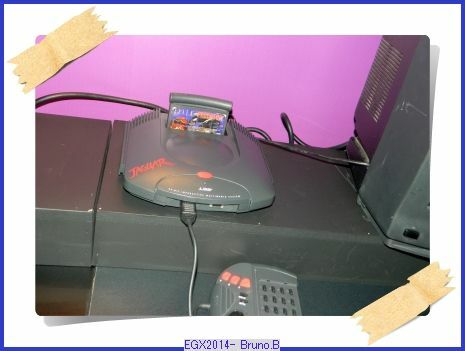 I also enjoyed the 1996 Alien Trilogy which came out on the Sega Saturn and Sony Playstation. Of course we won't go into Sega's ill fated Alien Colonial Marines game which has some controversy surrounding it's development and who actually developed it. All I can say about it is I had to play it ,so rented it for a week when Lovefilm did game rentals, and can honestly say it was pretty unplayable . Alien Isolation reminds me of a old Sega Saturn release named ''Enemy Zero'' By Kenji Eno , it to was about using stealth and avoidance against a Alien foe. 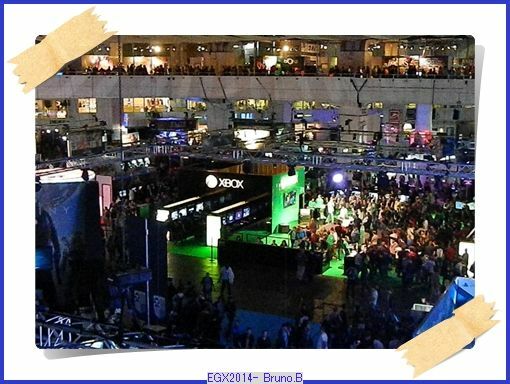 We look forward to getting hands on with Isolation at EGX for our second visit. But of course before that we also got hands on with a few games on on Sony's PS4 system. 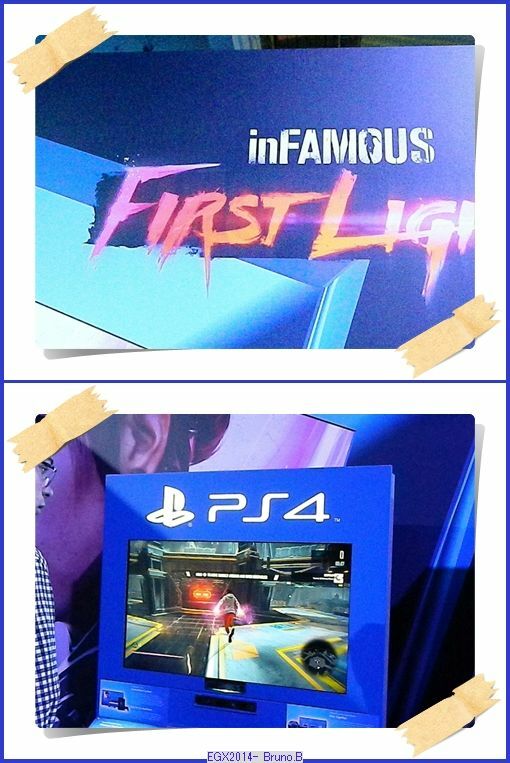 First up was Infamous Fast Light , third person action game where you as the protagonist uses the power of light direct from your body to repel enemies. First Light is DLC content for Infamous Second Son but that game is not needed to play as it is standalone content ,but having the original opens up more exclusive content for players. 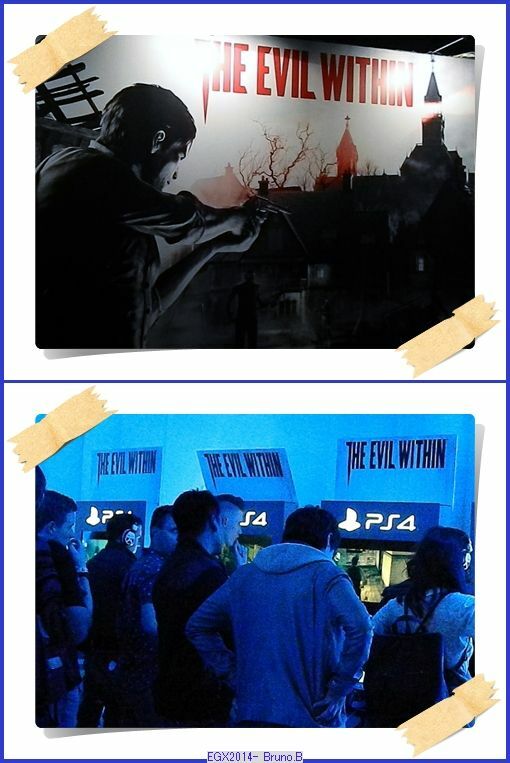 Now the the next couple of games are multi-format releases , our view is of the PS4 versions and can not comment if the games will be equal on other formats. 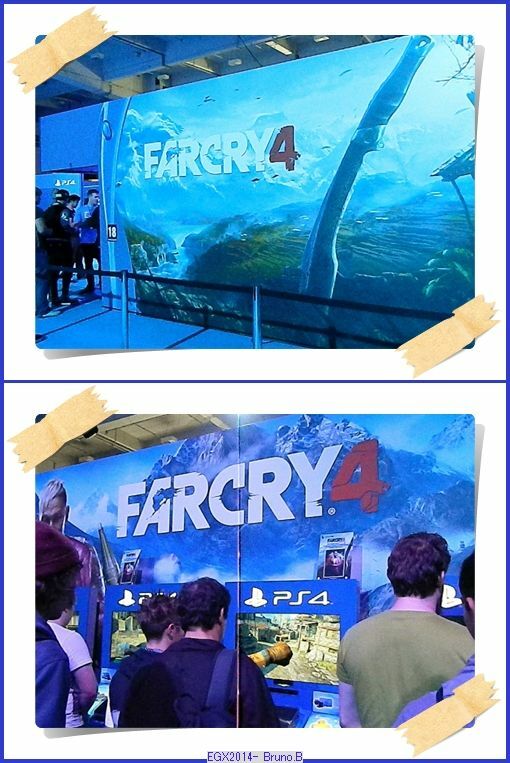 Of course next we had to try something first person, Ubisoft provided the thrills in Far Cry 4 on PS4 , now I have never played a Far Cry game before ,I suppose Halo,Gears of War and numerous other games kept me occupied ,so never indulged in the series. It's actually a very nice looking game and has quite good control ,do like the usage of weapons which are more tribal ,like crossbows,Knives,Swords ect ,so this seems up my street. Must admit I did not fair to well when playing ,but practice makes perfect. 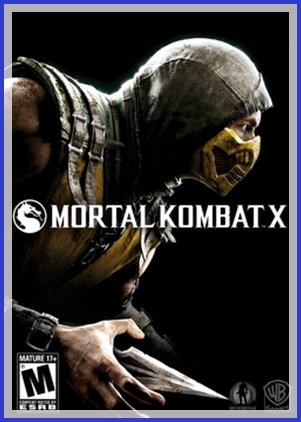 Now where partial to a good fighter , so when the chance came to get hands on with the new Mortal Kombat Game ,Mortal Kombat X ,i was quite excited. It did not disappoint ,utilising a smother fighting engine ,more reminiscent of Injustice Gods Among Us. Game play was fluid and it felt more like playing a game by Capcom then the others in the series. I was also glad when I wiped the floor with the guy I was fighting against , in the game of course. I left happy. 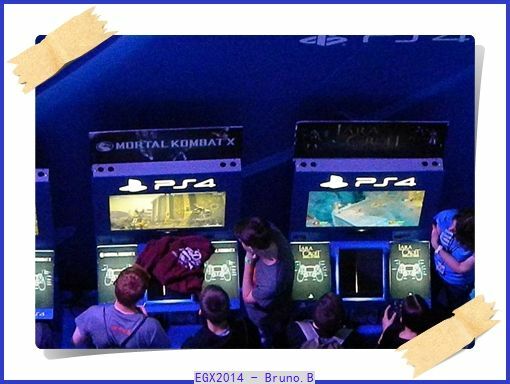 And it's a game I will want to play in the future. .
Second part of our EGX games coverage will be published on our sister site Cosplay Heroes along with a look at the Cosplay contest at the show. This is Bruno.B zapping out. 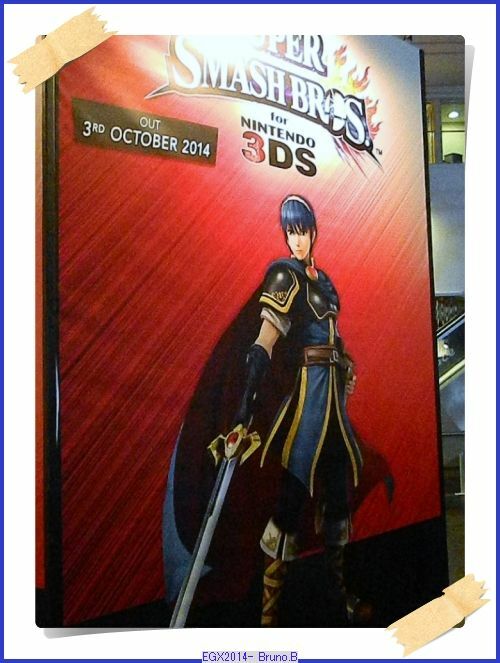 * Thanks must go to EGX for the Press Passes to the event for two days , so we could bring our readers this feature. 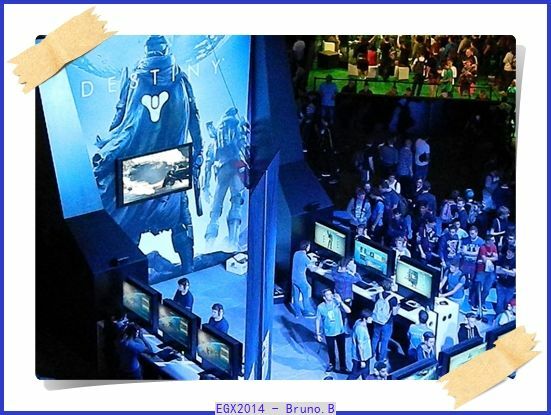 See part 2 of our EGX article on our sister site ,Live now.